The Free Music Archive is a new online digital library of music that will allow music fans, webcasters and podcasters to listen, download, and stream for free, with no restrictions, registration or fees. And it will all be legal. 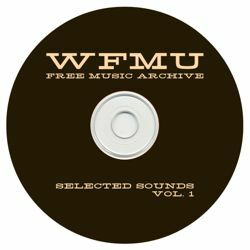 WFMU presents Selected Sounds from the Free Music Archive vol. 1. This compilation previews 21 of the thousands of tracks that’ll be freely available under Creative Commons licenses when the fully interactive Free Music Archive website launches this November. We’re working with a group of fellow curators to fill the library with great music, and this sampler represents a piece of what WFMU brings to the table. Problem is that, as it is, I can’t really use it. • an email address where they can be notified whenever their songs are played. Just giving me a naked MP3 is what got us into the downloads mess in the first place. Okay, I managed to find one tune (On The Wings [live at WFMU]) that I would subject my listeners to. Some of this music is unplayable. On some the music steps all over the vocals and in some cases, (Caliente Queen and others) that’s actually a good thing because the vocals are crap or damn near. Sorry but I’m going to purge the noise and cleanse my iPod with disinfectant.